The first instinct for most people when being attacked is to defend themselves. 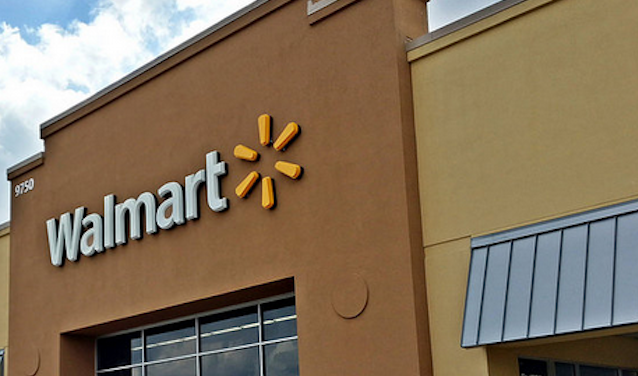 But a group of Walmart workers say their right to self-defense ended up getting them fired. Now the Utah’s highest court is considering whether store policies trump employees’ right to defend themselves. The Salt Lake Tribune reports that six former Walmart employees were fired after separate confrontations with shoplifting customers or another employee’s angry spouse. An attorney for the six told the court on Wednesday that the workers should not have to make a “terrible choice” of trying to ensure their safety or keep their jobs. But Walmart says the six employees violated company policy that requires them to back away from confrontations where a suspected shoplifter or customer brandishes a weapon. The employee is then instructed to withdraw to a safe position and contact law enforcement. Two of the six employees were fired after a Christmas Eve incident in 2010 when they grabbed a shoplifter who was attempting to run. The woman then allegedly pulled a knife and throated to stab the workers. Officials with the company say the employees were fired because they should have backed away from the woman instead of grabbing her. However, the employees say they grabbed the woman before she brandished the knife. In a separate 2010 incident, an assistant store manager was fired after he confronted the husband of another employee who believed the two co-workers were having an affair. The assistant manager allegedly shoved the husband into shelves after he had walked away pulling his wife by the arm. The final incident occurred in January 2011 when three employees of a Utah Walmart were fired after they confronted a man who had put a laptop computer down his pants and escorted him to a security office. Once entering the office, the man allegedly showed the employees a gun. The employees grabbed the weapon and pinned the man against the wall until police arrived. Officials with Walmart say the trio was fired because they should have allowed the man to leave the office and not wrestled with him. After the firings, the employees filed a federal lawsuit claiming that Walmart implied they would not be fired for the acts of self-defense if they went through extra training. Last year, a U.S. District Judge ruled the firings were legitimate because the employees were at-will workers and not subject to contracts. However, she asked the Utah Supreme Court to decide whether there is an exception in Utah’s law for self-defense as a “legal right or privilege” that would mean employees can’t be fired. The Tribune reports that reaction from the judges was mixed, with several objecting to Walmart’s characterization, saying there are frequently lawsuits over whether people are wrongly fired and that public policy creates conditions that allow them to sue. The court will take the case under advisement, the Tribune reports. This isn’t the first time Walmart has made headlines for firing employees who claim to be using self-defense. Back in 2010, a Florida greeter says he was fired after he fought a customer who attacked him. Last October, a Walmart employee in Michigan was fired after he intervened to stop an assault against a customer in the store’s parking lot. Shortly after the story broke, Walmart backtracked and offered the employee his job back, but the man declined.